For the past three years at the holidays I’ve made an effort to try to see a couple movies. A little change of pace for me. I’m glad that The Interview was released, but for me time is too precious to spend a couple of hours on that film. First I saw “Citizenfour,” Laura Poitras’ film on Edward Snowden. Snowden contacted her in 2013. She filmed him in his hotel room in Hong Kong both before and while the story broke. I don’t see Snowden as either villain or hero. But what is clear from the film is that being a dutiful little whistle blower and working it through the system at the NSA or his local elected officials (as President Obama suggested that he should have done) would not have yielded results. Others in the NSA tried before him and they were intimated and ostracized. It is fascinating to watch Snowden planning the release of the data with Glenn Greenwald in that hotel room in Hong Kong over 8 days. He is articulate, polite, gracious, very knowledgeable. Likeable. He’s not a cowboy or a high fiver. Knows that he may well end up in prison. He appears genuine in his intent to reveal the extent to which the government is using millions of people’s personal data. I would not say that he has no ego – I think that some level of ego is needed to carry out a mission like his, but he’s not leading with his ego. In the film he says that for the government to be using this level personal data should be a matter of debate in our country. That’s correct. Is that debate taking place in the aftermath? I’m not certain that it is. A couple of days later I saw Chris Rock’s “Top Five.” Rock has always struck me as a smart person. He knows what sells and he has delivered it. He can be darned funny to boot. So, I thought that I would see what Chris Rock is up to. From what I had read in recent interviews, I was concerned that he might be going down the Woody Allen path, throwing the baby (comedy) out with the bath water (wanting to direct real story which is more than cheap laughs). Good news – “Top Five” worked for me. It was funnier than I had expected, not a “Hannah and Her Sisters.” It’s a good story, if a bit “cute,” as in convenient, in a few places.There are some fun cameos, I won’t spoil the surprises. And Rosario Dawson is strong and beautiful. It’s good entertainment. Next? I’m considering streaming “A Fish Called Wanda.” I’ve never seen it. 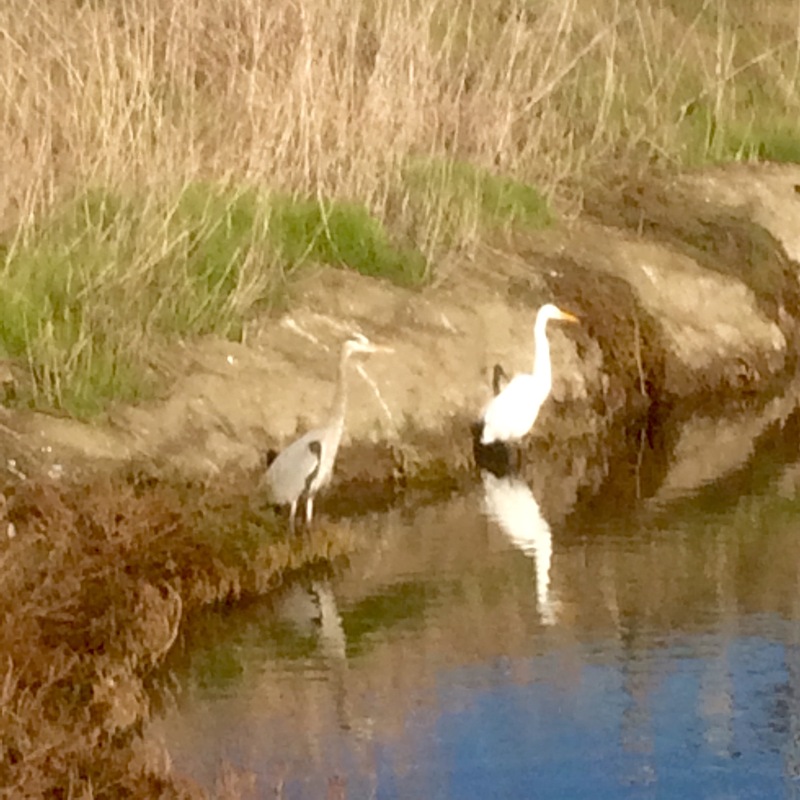 On my ride beside the bay today I was very fortunate to see these two majestic birds. With their necks extended I would estimate that each is four feet high. Categories: Uncategorized | Tags: San Francisco Bay | Permalink. The beautiful work of @isardasorensen. The days get dark and cold early in NYC in the winter due to the tall buildings. But the lights at the holidays truly brighten my spirits. I wonder if it is because we evolved watching the stars at night. 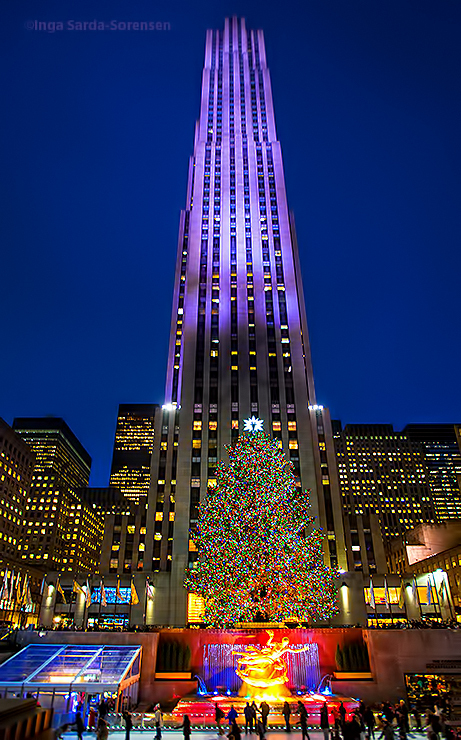 The world-famous Christmas tree at NYC’s Rockefeller Center is stunning as ever.